HR: Dayton: Jeter Downs (13th, 0 on base in first inning); Jonathan India (3rd, 0 on base in ninth inning). Bowling Green, Ky.-The Bowling Green Hot Rods scored six runs over the final two innings to overcome a 6-2 deficit and defeat the Dayton Dragons 8-7 on Sunday night. The game was the next-to-last contest of the 2018 season. The teams will meet at 1:05 p.m. on Monday to wrap up the Midwest League schedule. After Bowling Green scored four runs in the bottom of the eighth inning to tie the game at 6-6, Dayton's Jonathan India blasted a tie-breaking solo home run in the top of the ninth to give the Dragons a 7-6 lead. But the Hot Rods responded with two runs in the bottom of the ninth to win it, as Emilio Gustave's sacrifice fly brought in the winning run from third. Dayton starting pitcher Packy Naughton worked five scoreless innings, allowing seven hits but no walks with eight strikeouts. 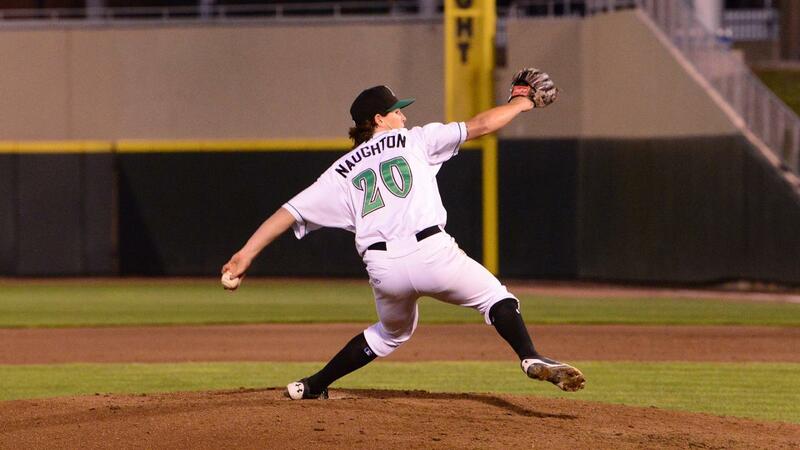 Barring an unexpected occurrence, Naughton appears to have wrapped up the Midwest League strikeout crown. He has 137 strikeouts on the year. No pitcher within striking distance of Naughton's total is expected to pitch in the season finale on Monday. The Dragons took an early lead when Jeter Downs belted a solo home run in the first inning, his 13th home of the year. In the fourth, the Dragons extended their lead to 4-0. Andy Sugilio doubled to start the inning and then scored all the way from second base on Leandro Santana's ground out to shortstop. Jose Garcia added a two-out, two-run double to bring in Reshard Munroe and Nate Scantlin. Bowling Green scored one run in the sixth inning and then added another in the seventh to cut the Dayton lead to 4-2. Both runs came against Dragons reliever Cory Thompson. The Dragons rebuilt their lead four runs in the eighth, getting a two-run double by Leandro Santana to make it 6-2. But Dragons reliever Dauri Moreta (3-2) struggled over his two innings on the mound, allowing six runs on six hits (five extra base hits) over one and one-third innings to take the loss. The Dragons collected 11 hits in the game. India had his best game with the Dragons, going 3 for 5 with a home run. Downs had two hits including a home run. Andy Sugilio had two doubles and two runs scored. Hendrik Clementina had two hits. Up Next: The Dragons (27-42, 58-79) meet the Hot Rods (42-27, 89-49) on Monday afternoon at 1:05 (EDT) in the last game of the season. Austin Orewiler (5-5, 3.72) will start for Dayton against Alex Valverde (7-7, 4.82).